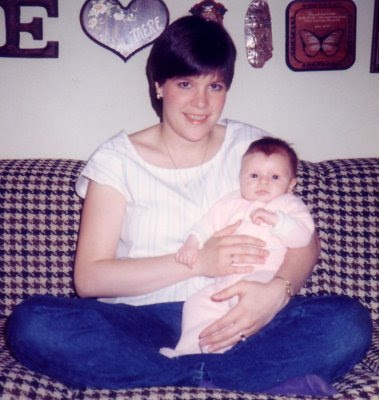 Twenty three years ago today, I became a mom for the very first time when God blessed me with my only daughter Haley. Happy birthday, Sweetheart!! I love you! Awwwwww, that is the Sweetest picture! Beautiful baby AND beautiful momma! Well lookie at you two cuties!! Oh, I love the photo! Happy birthday, Haley!! I bet it's unbelievable that she's 23, huh? I can't believe I have an 11 year old. Time really does fly. That is a precious picture, Amy. Happy birthday (belated) to Haley!